This past weekend, my hubby and I had an unexpected visitor in our flat. Wayne was at a local missions conference, when I woke up Saturday morning to a subtle thumping underneath the bed. At first, in my half-awake, half-asleep state, I thought I was dreaming. Then, after a few seconds, I realised that something was under my bed. I grabbed a flashlight, looked around the room and noticed something camouflage coiled up in the corner. I got a fright, thinking it was a snake (South Africa has some of the deadliest snakes in the world), but then it gave a little hop. It was a frog! 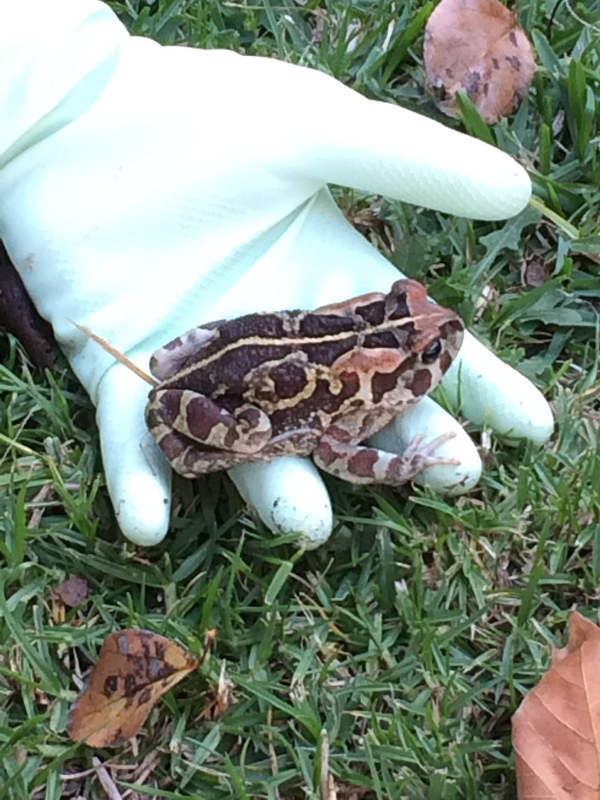 Recently, through a Facebook friend, I found out that our frog was a toad—the endangered Western Leopard Toad. I keep thinking about our little visitor; how beautiful he was. His camouflage was utterly amazing, an incredible work of art. He is such a wonder of creation; and in him, in his beautiful limbs and colouring, I got a glimpse of the beauty and majesty of God . Just to think that our Creator took the time to create something so simple and beautiful, a host of toads throughout the world, each one unique and beautiful in its own way. And if the Creator spent so much time creating toads into a thing of beauty, how much more time did he spend on us? And if Wayne and I worried so much over the safety of a toad, how much more does our Creator think about us? 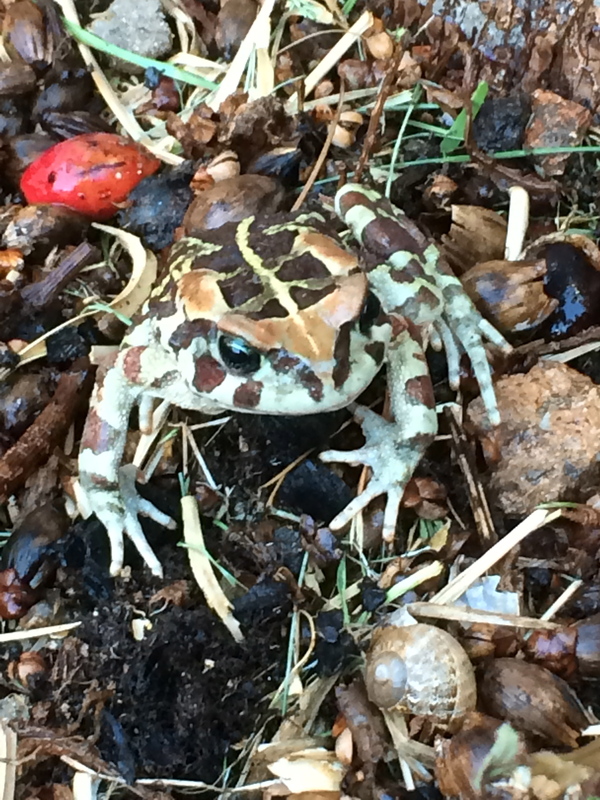 I am grateful for this little toad, which gave me a glimpse of God, the Creator of us both.